I’m always looking for new natural supplements to help me deal with stress and have a better night’s sleep. I recently came across Four Sigmatic (formerly Four Sigma) a company founded by Finnish guys with a love for adaptogenic herbs, and superfood mushrooms. Their products are all-natural, and have no fillers, so I decided to give some of them a try. 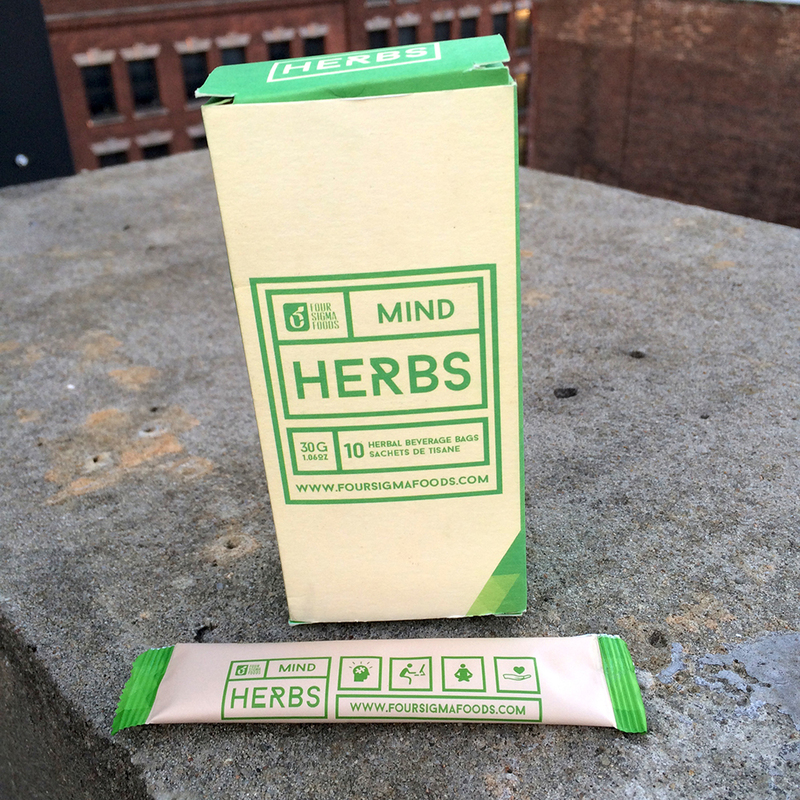 Their Mind Herbs Calm Concentration is an instant drink mix, and there are 10 individual packets per box. The mix features four adaptogens, herbs linked to decreased sensitivity to stress. 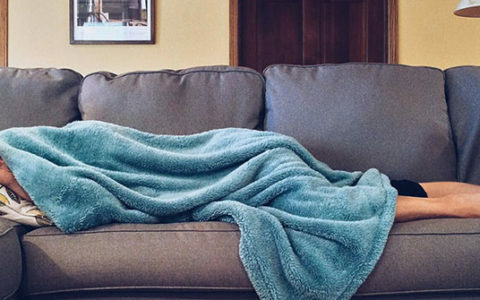 Read on to find out how if this drink helped me deal with stress and fall asleep — and stay asleep — easier. An all-natural adaptogen in the form of an instant beverage powder, designed to improve memory and learning; induce a calming effect and support relaxed concentration; and reduce stress. Eleuthero/Siberian Ginseng — An adaptogen, ginseng has been used for millennia to improve memory. Ginseng is especially well-tied to memory response time, decreasing the amount of time it takes to recall facts. Gotu kola — A leaf used in traditional medicines to treat anxiety, rheumatism, and aid in skin regeneration. Goji berries — These berries have been used for centuries in Tibetan medicine to treat a variety of ailments, including skin diseases, insomnia and anxiety. Studies suggest goji berries can positively affect both neurologic and psychologic performance. Ashwagandha — The extract of this plant’s roots have been used in Ayurveda, the traditional Hindu medicine philosophy, as a mood stabilizer and to combat stress, and anxiety. The extract is said to work as a nervous system depressant, bringing about tranquility and relaxation, and making it easier to fall asleep. 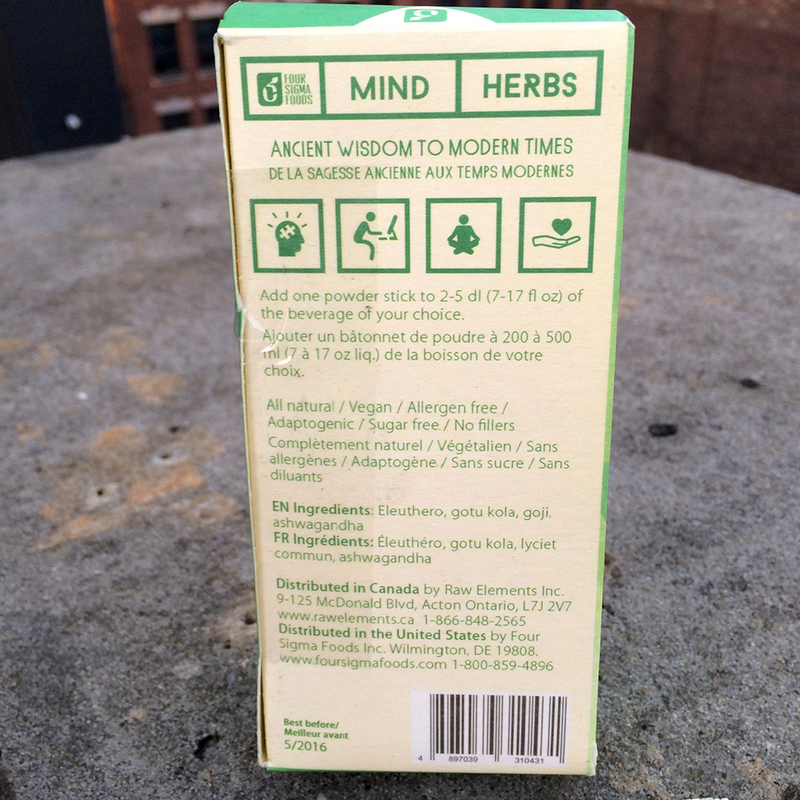 Following the instructions on the manufacturer’s site and packaging, I mixed one packet of Mind Herbs with a full glass of cold water. The taste itself was very soothing to me, earthy and slightly bitter, with none of the usual sweeteners these kind of products seem to use. The first time I took it was in the morning of what I knew would be a stressful day. 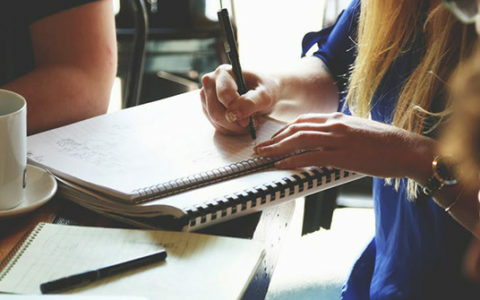 I was able to stay focused, without feeling overwhelmed or unduly stressed. I took another packet that night, and it did help me shut off my brain before heading to bed, but I woke up several times during the night, and I had trouble falling back asleep. After a few more tests, my opinion is this: This is not a sleep aid, per se, but if a restless mind is one of the reasons you have difficulty falling asleep, this can be very helpful. I did pair it with a true sleep supplement, Lumonol Luna, and I fell asleep fast and was able to stay asleep through the night. I will also be taking this with me on my next travel day, to test it against my usual travel anxiety. I will report back with the results; currently one of my favorite supplements to travel with is New Mood by Onnit, which I use to help combat my travel anxiety. All natural, vegan, allergen-free, adaptogenic, no fillers. Gluten-free, caffeine-free, sugar-free, and no additives or preservatives. Portable, and easily mixable not only with water, but other beverages as well. Promotes an almost instant sense of calm and well-being. Not a true sleep aid, in my opinion. Needs to be paired with other sleep supplements to fully support a good night’s sleep. 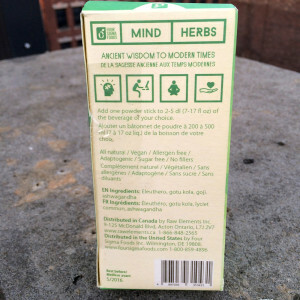 For me, Four Sigmatic’s Mind Herbs was a solid supplement to help with stressful situations. The fact that you can take it any time of day is an indication that it promotes relaxation without inducing sleep or drowsiness. I really liked the taste, along with the way that it made me feel on what would otherwise be high-anxiety days. I did have to pair it with a true sleep supplement in order to get the night’s rest I wanted. I’m excited to try this on my next trip.